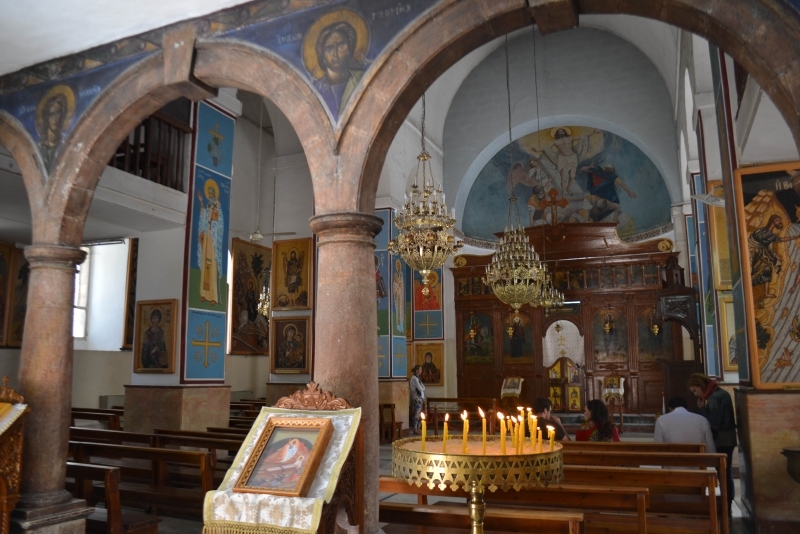 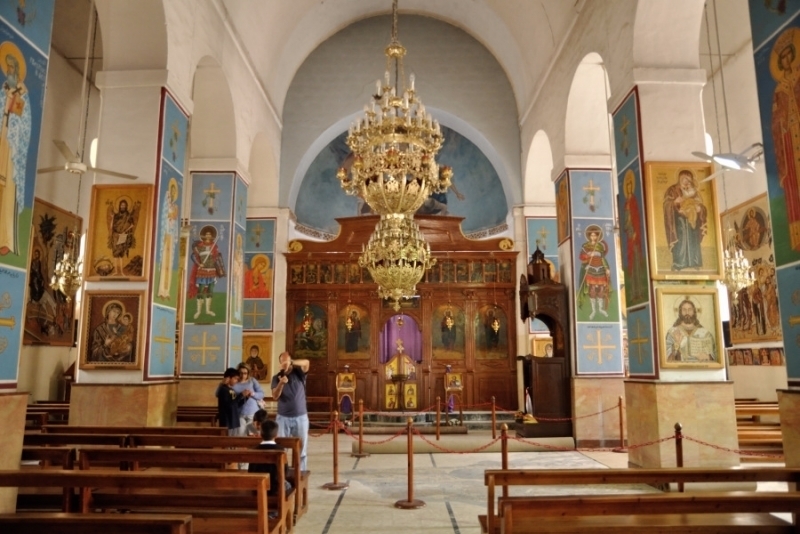 The Greek Orthodox Basilica of Saint George is also Known as the "Church of the Map". 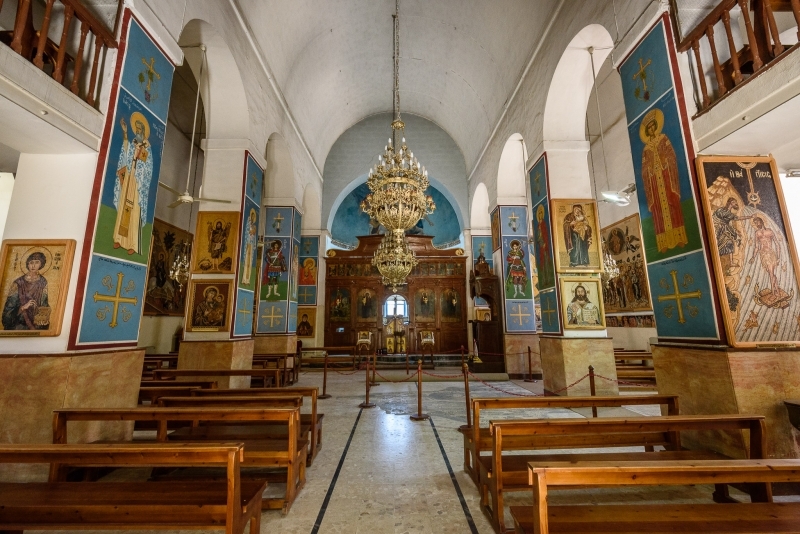 It is one of the most beautiful churches in the world and it's one of the main places of worship and pilgrimage across Jordan. 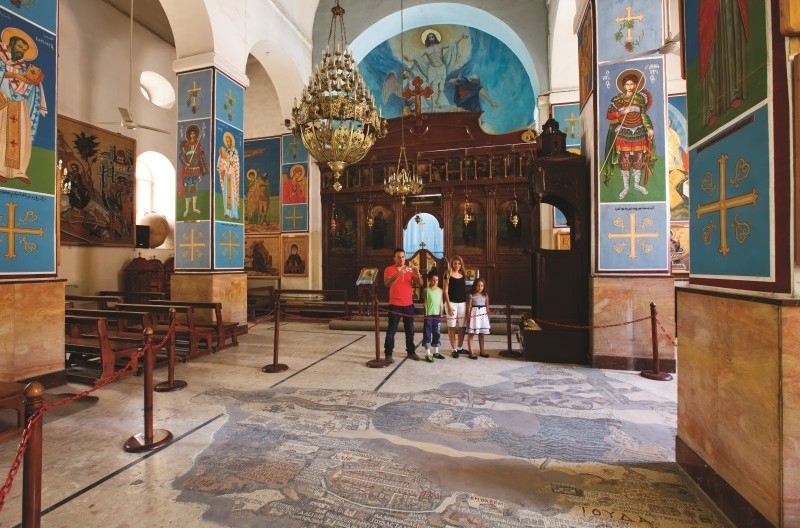 Decorated with sumptuous interiors, elegant colonnades and various mosaics, the Greek Orthodox Basilica of Saint George hosts the mosaic map of the holy land. 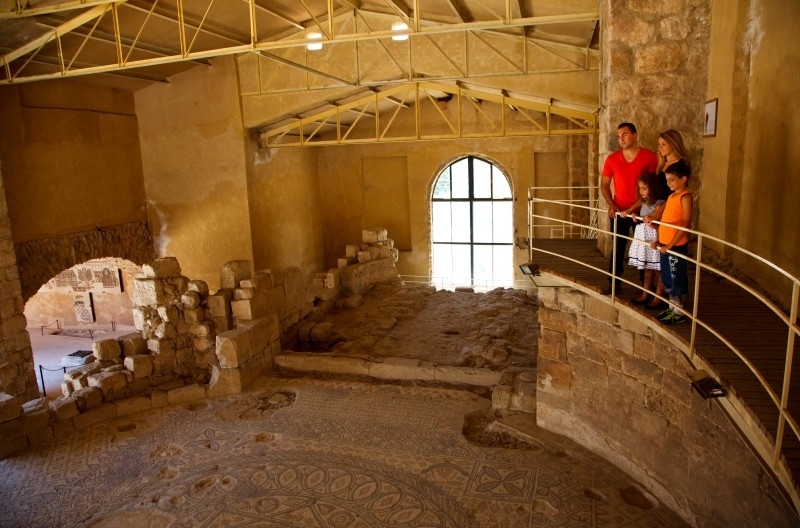 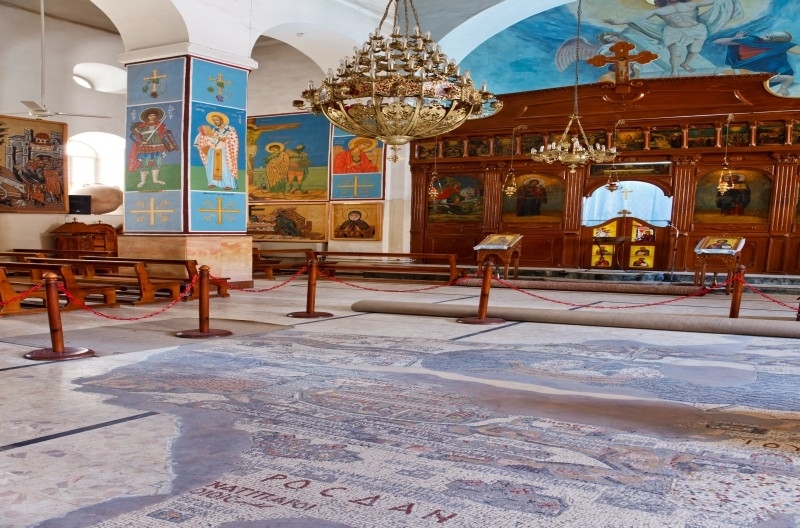 The Map of Madaba mosaic was discovered in 1896, it's a map of the Middle East dating from the 6th century and preserved in the floor of the Greek Orthodox Basilica of Saint George Church, and it is the reason why it's called "Church of the Map". 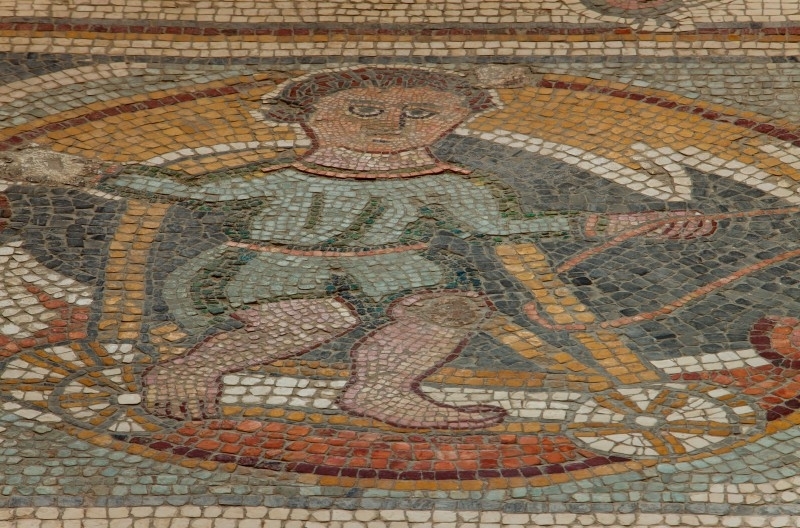 With two million pieces of coloured stone, the map depicts hills and valleys, villages and towns in Palestine and the Nile Delta. 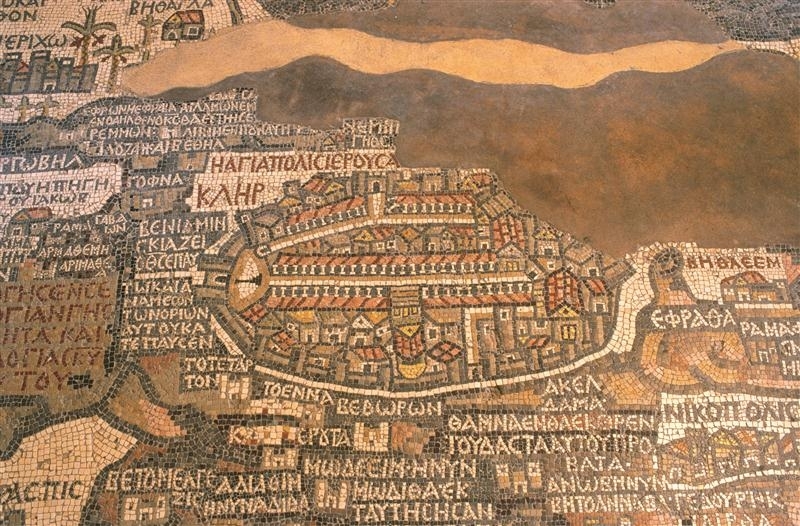 Dated back to the 6th century, part of the Madaba Mosaic Map contains the oldest catographic depiction of the Holy Land of Jerusalem.